Looking for the exhaust system that gives your Ford Ranger the perfect street truck look? This DUAL CAT-BACK exhaust system is for you. 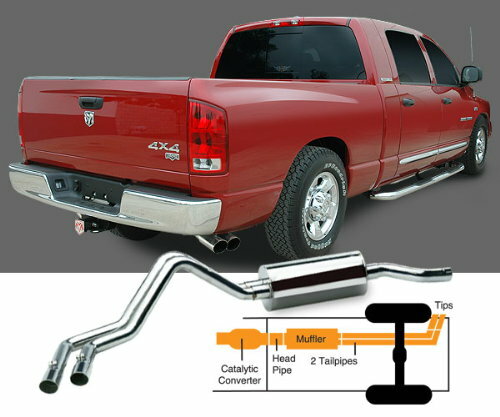 Engineered for an easy BOLT-ON INSTALLATION with a professional looking finish, this system will give your truck a powerfully AGGRESSIVE/DEEP tone. Gibson's Dual Sport exhaust systems also makes sure you don't lose the ability of your tow trailer or vehicle. Dyno-tested to guarantee increased HORSEPOWER and TORQUE, the average gains are 10-15HP and 15-20LB-FT OF TORQUE. Don't worry, there won't be annoying noises inside the cab! AND fuel economy may improve as your engine becomes more fuel efficient.